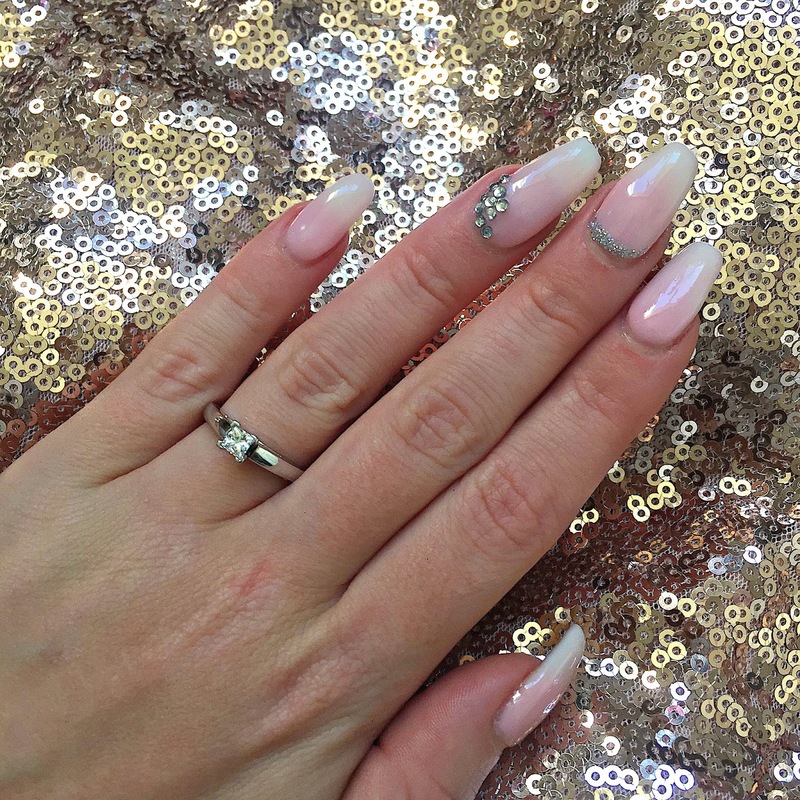 Choosing my wedding day nails wasn't too difficult, I wanted something soft and timeless. It wouldn't be me if there wasn't any glitter though so I made sure to have a hint of glitz and glam, but I knew I wasn't going to be going all out and ending up with something that looks naff in photos in a few years time. My Mum and bridesmaids all have a classic French Manicure while I have an ombre French Manicure which is a little softer but still sophisticated. On my ring finger I have gems in the outside corner and then a cuff of glitter on my middle finger with Lola from Magpie Beauty. These are my real nails and they've been shaped into a ballerina or coffin style shape. The colour is all done with Gel Bottle Inc colours, builders and top coats leaving me with strong, shiny, beautiful wedding nails. What's your go-to nail design for a special occasion? I feel like a French Manicure features quite a lot in Wedding Nail photos, or at least on Pinterest it does.